Tucked away in a lush oasis of natural beauty on Danbury’s west side, Ives Concert Park hosts world-renowned artists in a wide variety of music and theater genres. Named for famed local composer Charles Edward Ives, the venue pays tribute to its storied roots in classical music while acknowledging the ongoing evolution of the art of live performance. With entertainment that ranges from enlightening to awe-inspiring, the Ives reflects the diverse multicultural community in which it resides; embracing the unique attributes that our performers and patrons bring to our site. A common love of the arts and the beauty of nature bring fans to our grounds. Their shared experiences here make them our friends. Ives Concert Park is a prestigious, world-class performing arts center. This majestic outdoor amphitheater is situated on 40 wooded acres with a pond, breathtaking gardens and public hiking trails, and is located on the Westside campus of Western Connecticut State University in Danbury, Conn. Ives hosts a variety of world-renowned international, national, regional and local artists and is a truly unique arts experience in harmony with a natural environment, where trees and stars become the backdrop for cultural enrichment. The Charles Ives Authority for the Performing Arts honors the memory of one of America’s greatest music composers and Danbury native, Charles Edward Ives (1874 – 1954), by providing a nationally recognized forum for the performing and creative arts. The Ives is a tremendous resource for the western Connecticut community, initiating economic development for local businesses, as well as establishing corporate stakeholder partnerships that assist in underwriting the costs of performances, thus allowing affordable access to acclaimed artistic performances. 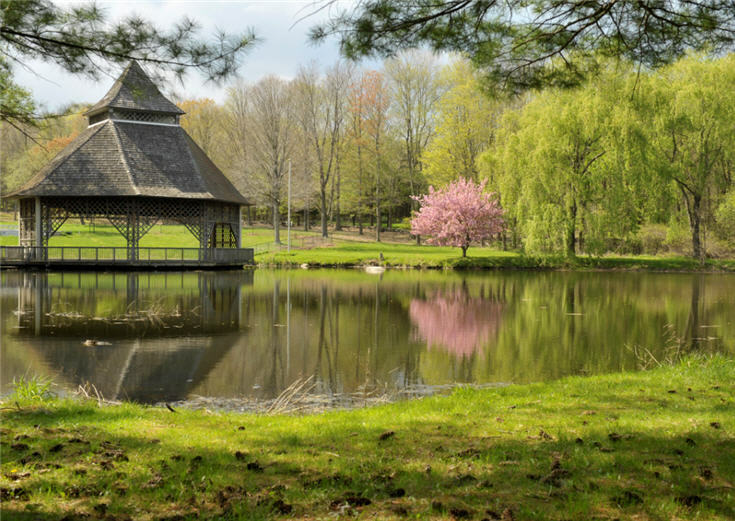 With more than 65,000 guests attending events each year, Ives Concert Park boosts tourism and is an asset in attracting consumers, new residents and businesses to the Greater Danbury region. As the area’s only major outdoor venue devoted to live entertainment, Ives Concert Park features a Celebrity Series, a Fine Arts & Family Series including Shakespeare, Chamber Music, Children’s Events, as well as Jazz, Cultural Arts, Performance Arts, Visual Arts, Arts Education, an Ecuadorian Festival, an Irish Festival, The Connecticut Latin Music Festival and more. The Ives’ mission is to honor the memory of one of America’s greatest music composers and Danbury native, Charles Edward Ives (1874 – 1954), by providing a nationally recognized entertainment destination for extraordinary arts and cultural experiences, enriching the economic growth and social vitality of the region. Laura B. - Oxford, Conn.